Let’s back up from the hype a little bit here. Once we’re talking virtual reality or you’re imagining people in goggles, Lawnmower Man style, we’re skipping ahead to the application of these mic solutions, beyond the mics themselves. The microphone technology itself may wind up being the future of recording with or without consumers embracing VR tech. Back in the glorious days of mono audio, a single microphone that captured an entire scene was … well, any single microphone. And in fact, to this day there are plenty of one-mic recording rigs – think voice overs, for instance. The reason this didn’t satisfy anyone is more about human perception than it is technology. Your ears and brain are able to perceive extremely accurate spatial positioning in more or less a 360-degree sphere through a wide range of frequencies. Plus, the very things that screw up that precise spatial perception – like reflections – contribute to the impact of sound and music in other ways. And so we have stereo. And with stereo sound delivery, a bunch of two-microphone arrangements become useful ways of capturing spatial information. Eventually, microphone makers work out ways of building integrated capsules with two microphone diaphragms instead of just one, and you get the advantages of two mics in a single housing. Those in turn are especially useful in mobile devices. 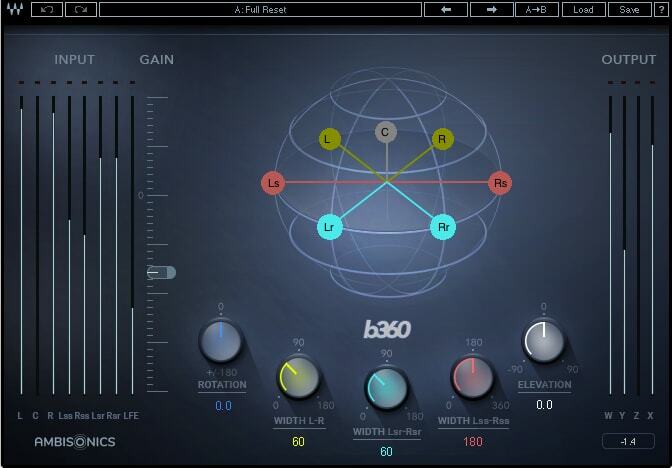 The B360 ambisonics encoder from plug-in maker WAVES. 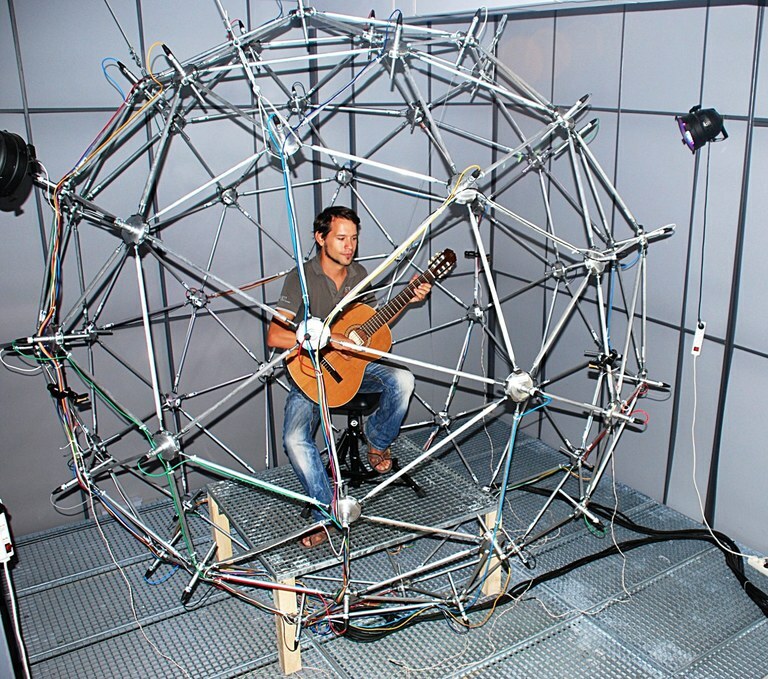 Here is a non-comprehensive selection of examples of new or notable 360-degree mics. The pitch: The Ambeo was the mainstream mic poster child for spatial recording and flagship ambisonic mic when it debuted last year. 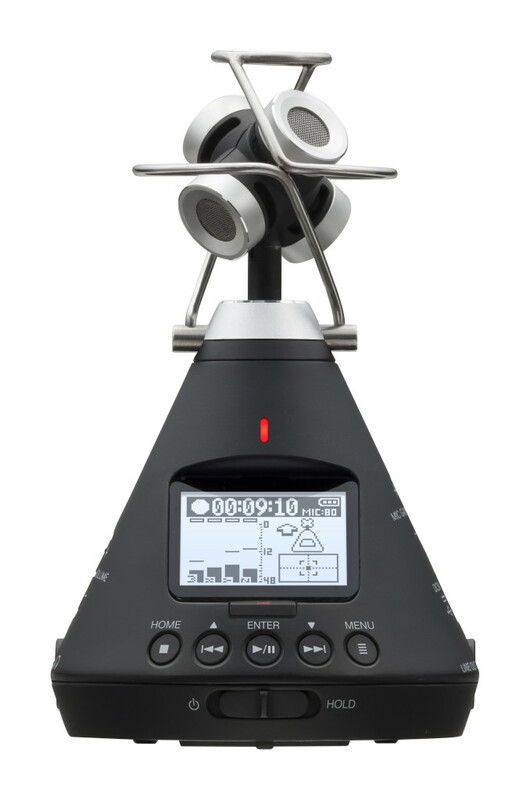 You get four cardioid pattern condenser mics arranged to form a 360-degree pattern (same as the cheaper RØDE below). And it’s set up to work via special encoding software with DAWs (like Pro Tools and Reason, though see for instance specific instructions for Logic), plus mobile recorders like the Zoom F8 (making Zoom one of the winners here no matter what, since they sell the leading mobile multichannel hardware and their own standalone solution). Also notable about the Ambeo: Sennheiser promises a certified selection of products, including for listening – though headphone experience may not be ready for primetime just yet. Who it’s for: Field and studio recordings for VR and multichannel surround, and people who want to invest in the Sennheiser ecosystem for the same. 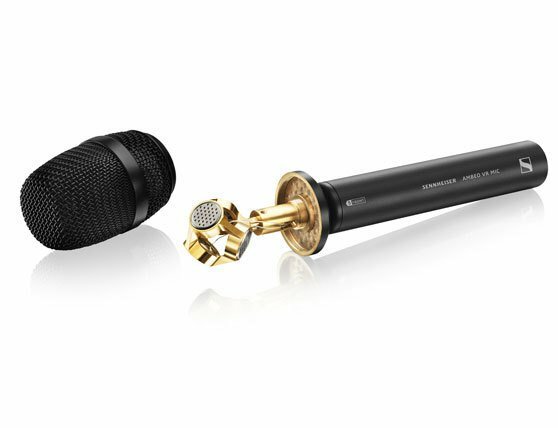 Now the question is how it stacks up against the cheaper RØDE that went a similar direction – or different (non-ambisonic) recording methods like the HEAR360 offering, next. The pitch: Here’s a heavy-duty, serious solution – camera-mountable, “omni-binaural” (not ambisonic) mic that gives you 8 channels of sound that comes closest to how we hear, complete with head tracking-capable recordings. PS, if you’re wondering which DAW to use – they support Pro Tools and, surprise, Reaper. 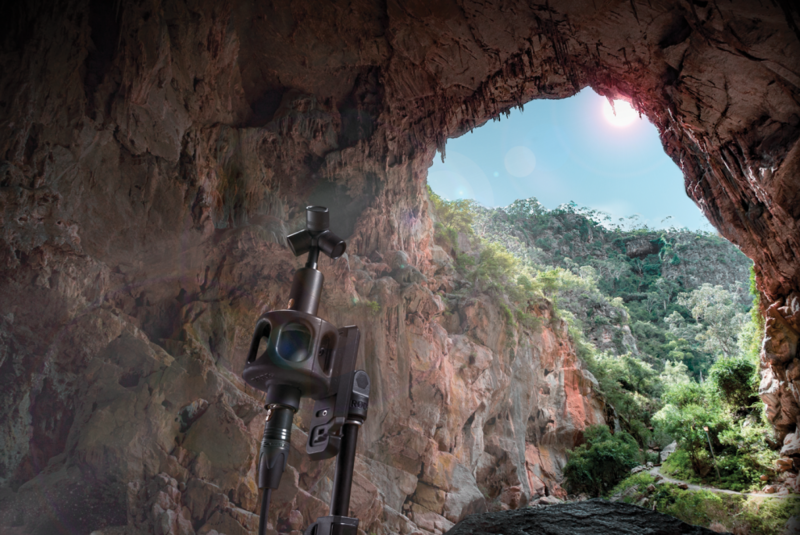 Who it’s for: High-end video productions focused on capturing spatial audio with the mic. For more details on why this is omni-binaural, not ambisonic – but how if you need to, you can translate recordings into ambisonic formats if particular workflows require it – check the HEAR360 FAQ. The pitch: Make full-360, head-trackable recordings in a single mic (records in A-format, converts to B-format) for ambisonic audio you can use across formats. Works with Dolby Atmos, works with loads of DAWs (Reaper and Pro Tools, Cubase and Nuendo, and Logic Pro). 4-channel to the 8-ball’s titular eight, but much cheaper and with more versatile software. Who it’s for: Studios and producers wanting a moderately-priced, flexible solution right now. Plus it’s a solid mic that lets you change mic patterns at will. Software matters as does the mic in these applications; RØDE supports DAWs like Cubase/Nuendo, Pro Tools, Reaper, and Logic. The pitch: ZOOM is making this dead simple – like the GoPro camera of VR mics. 4-capsule ambisonic mic plus 6-axis motion sensor with automatic positioning and level detection promise to make this the set-it-and-forget-it solution. And to make this more mobile, the encoding and recording is included on the device itself. Record ambisonics, stereo inaural, or just use it like a normal stereo mic, all controlled onboard with buttons or using an iOS device as a remote. Your recording is saved on SD cards, even with slate tone and metadata. And you can monitor the 3D sound, sort of, using stereo binaural output of the ambisonic signal (not perfect, but you’ll get the idea). Who it’s for: YouTube stars wanting to go 3D, obviously, plus one-stop live streaming and music streaming and recording. The big question mark here to me is what’s sacrificed in quality for the low price, but maybe that’s a feature, not a bug, given this area is so new and people want to play around. Maker: ZYLIA, a Polish startup that IndieGogo-funded its first run last year. But the electronics inside come from Infineon, the German semiconductor giant that spun off of Siemens. 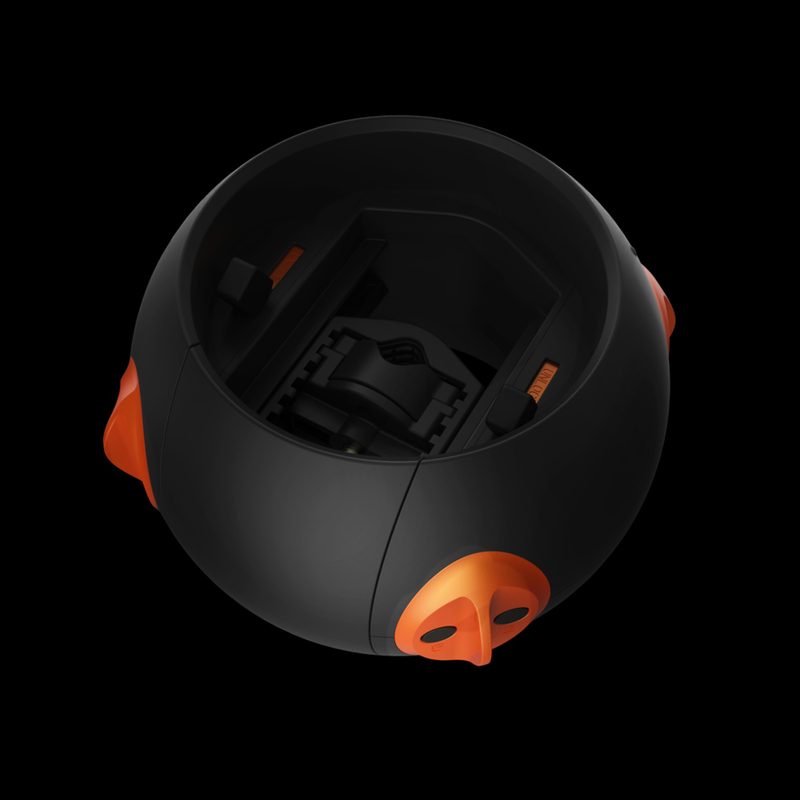 The pitch: This futuristic football contains some 19 mic capsules to the 4-8 above. 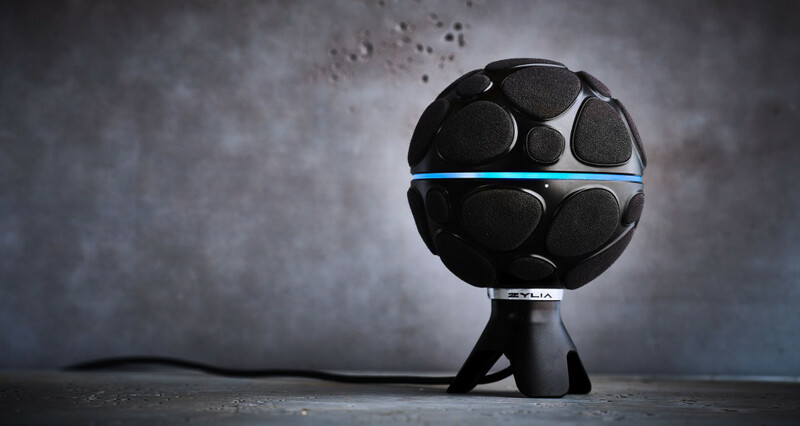 But the idea isn’t necessarily VR – instead, Zylia claims they use this technology to automatically separate sound sources from this single device. In other words, put the soccer ball in your studio, and the software separates out your drums, keys, and vocalist. 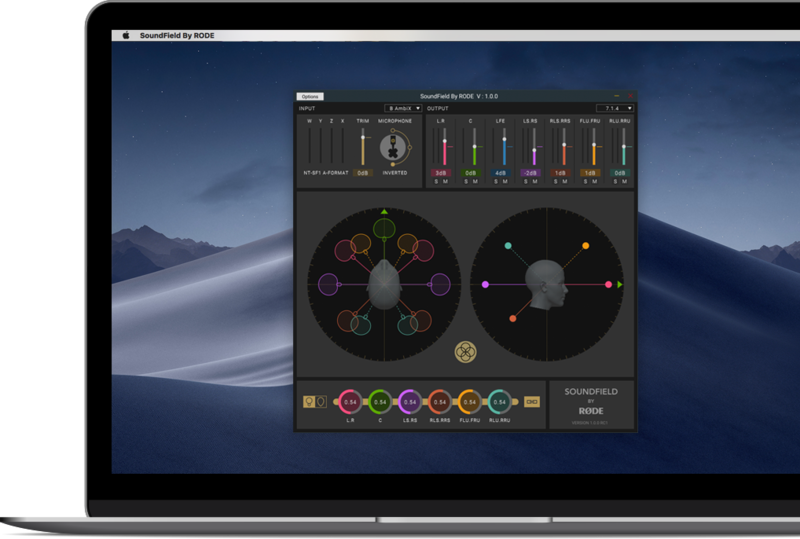 Or get the Pro model and capture 3rd-order ambisonics – with more spatial precision than the other offerings here, if it works as advertised. 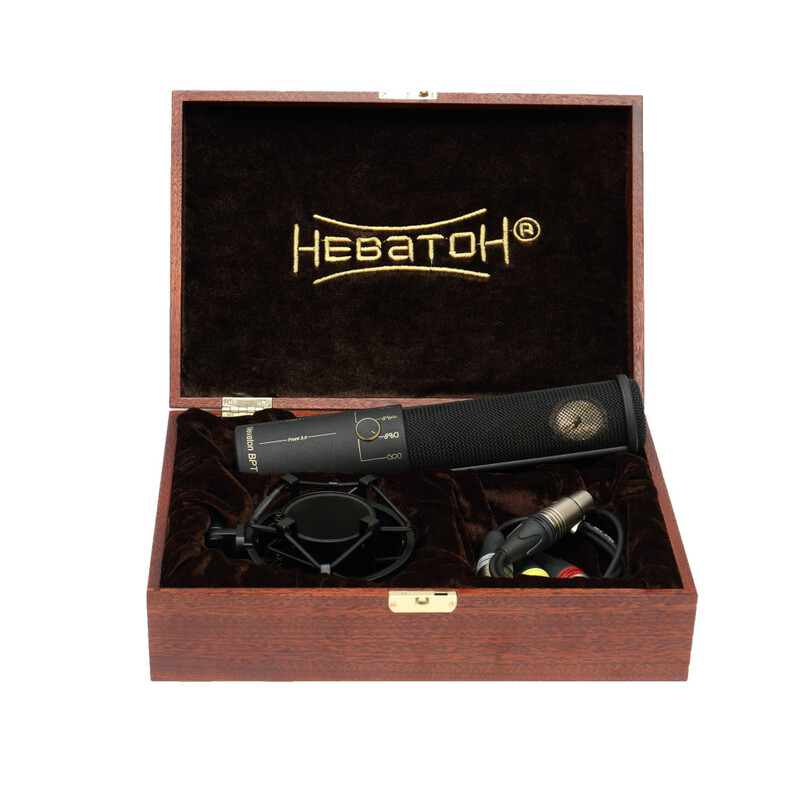 Who it’s for: Musicians wanting a new-fangled solution for multichannel recording from just one mic (on the basic model), useful for live recording and education, or people doing 3D recordings wanting the same plug-and-play simplicity and more spatial information. Oh yeah, also – 69dB signal-to-noise ratio is nothing to sneeze at. Pro Tools Expert did a review late last year, though I think we soon need a more complete review for the 3D applications. What did we miss? With this area growing fast, plenty, I suspect, so sound off. This is one big area in mics to watch, for sure – and the latest example that software processing and intelligence will continue to transform music and audio hardware, even if the fundamental hardware components remain the same. And, uh, I guess we’ll all soon wind up like this guy? The pitch: The ultra high-end solution: based on a capsule designed by the Salzburg Festival’s Dr. Edwin Pfanzagl-Cardone, the BPT is a three-capsule mono, stereo-, and surround-microphone all in one. So imagine a boutique mic cabinet, sort of crammed into one mic. 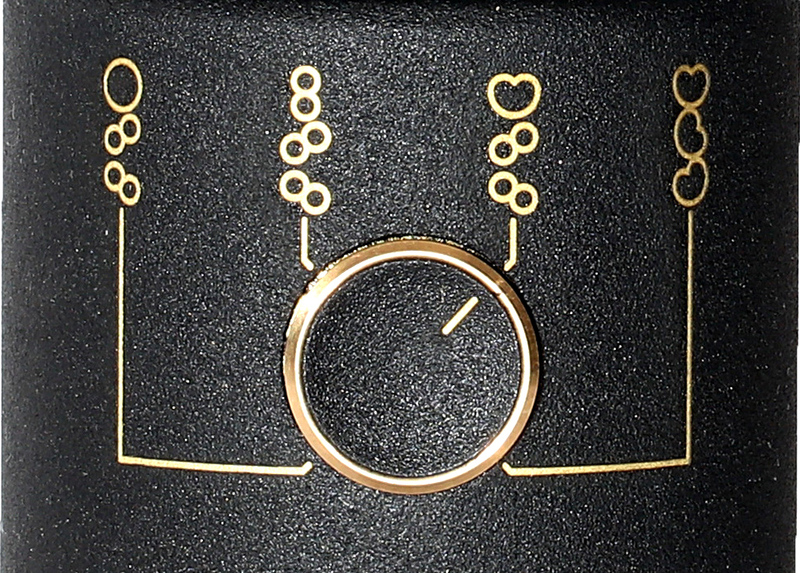 What’s interesting, apart from this being a ultra-luxe Nevaton mic, is that you can use all those modes simultaneously. You ditch the gimmicky software above – you’re on your own doing your surround encoding – but the quality reputation is unparalleled. Not a mic any of us is likely to see in our lifetimes, but worth dreaming of. Who it’s for: High-end studios. Russian oligarchs building studios (well, okay, that’s just what I’d do if I were an oligarch). The Salzburg Festival, apparently. But even if you don’t fit into those categories, take note: the best mic for the job may just be a multi-capsule mic without the consumer-focused features or fancy software, since you can always do the encoding yourself. And as engineering processes develop, we may see more multi-capsule mics. Nevaton for their part also make a pricey quad mic … but generally, I’d keep an eye on manufacturers worldwide to see what they come up with.